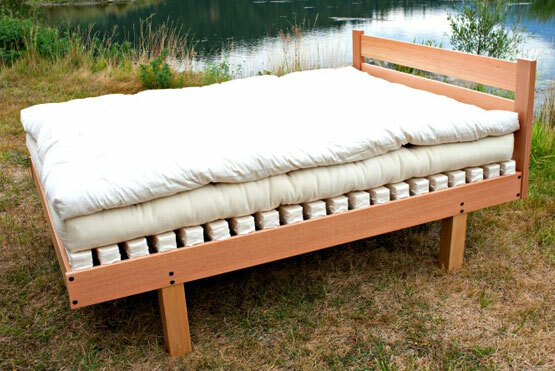 One of the advantages of all natural wool bedding is its versatility. Wool bedding greatly benefits from a layered approach which, in turn, provides many options for optimizing the bedding experience to the individual – rather than the other way around. Understanding the advantages of the different layers helps to identify which choices are best for you. In this first part of our blog series, we’ll break down all of the combinations – beginning with the most popular: the 4″ Harmony Latex Pad, 5″ Wool Mattress, and 3″ Snuggle Mate Mattress Topper. While incredibly resilient, wool fiber does not provide much give. Because of this, a wool mattress benefits greatly from adding a layer of latex. Due to its considerable buoyancy, placing a latex pad* underneath a wool mattress gives the bed a sense of springiness that is often missed with wool alone. *This layer is often marketed as a ‘latex topper’. Here at Shepherd’s Dream we benefit from placing the topper underneath the wool mattress and treat it like a pad. This is our most unique product that the mother/daughter team behind Shepherd’s Dream originally designed back in the late nineties. At the time, Eliana Jantz, the founder of Shepherd’s Dream, was crafting all-natural cotton pillows, blankets and other bedding. Her daughter Sarah Sunshine, the current owner of Shepherd’s Dream, was assisting her in their vision. 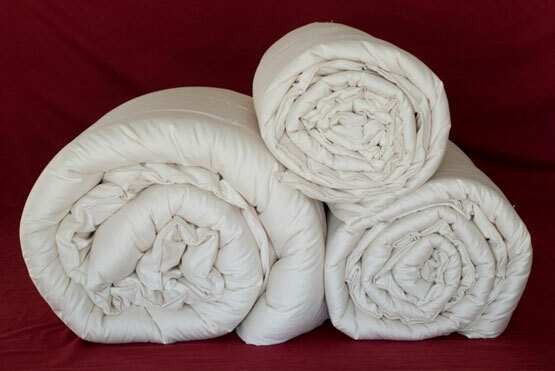 When a customer requested a custom all-wool mattress, Eliana and Sarah quickly discovered the many advantages of wool bedding – from temperature regulation to being naturally flame retardant and completely biodegradable. Together, they began perfecting their own wool mattresses. Compression: All new wool bedding compresses. Most of the compression within a wool mattress occurs while the mattress is being constructed (if it’s been well made). Expect about 10% more compression for your new wool mattress within the first 6 months of regular use. In order to evenly compress a wool mattress and avoid an annoying body impression, make sure to initially sleep all over the surface and rotate/flip your mattress regularly. 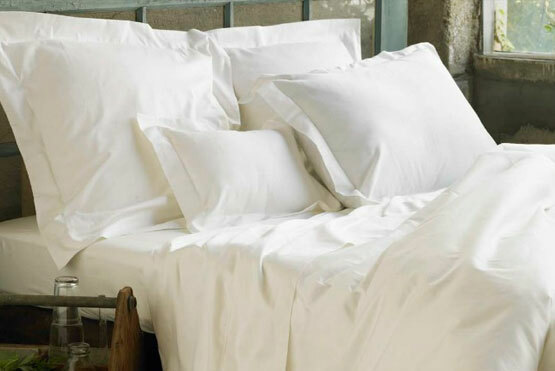 Sun & Air: Seasonally sun and air your wool bedding. Allow your wool mattress to receive the naturally bleaching quality of the sun and the restorative quality of the wind to revitalize the wool. This can be done by exposing your wool mattress and simply opening all the windows in your bedroom on a clear day, or by bringing your wool mattress outside a couple times a year. Repel Moths: While wool is naturally mold and mildew resistant, it’s very attractive to moths. While we very rarely hear of an issue with moths, it’s helpful to be mindful of moths by removing them from your bedroom and covering your wool bedding with organic cotton sheets. Firm Surface: Lastly, a wool mattress is considered a firm sleeping surface. While many studies have been published outlining the benefits of firm sleeping surfaces, most Americans are accustomed to softer beds. In order to accommodate the desire to soften a firm sleeping surface, a wool mattress benefits greatly from the addition of a wool topper and/or latex pad. 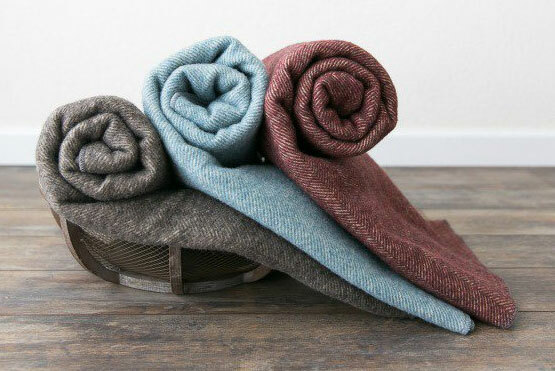 Last but not least, a wool topper is the perfect finishing touch to your all-natural bed. 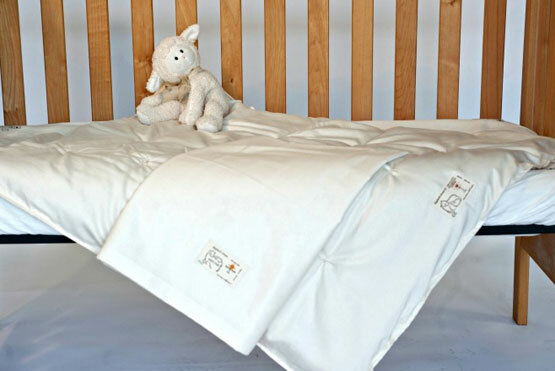 Not only does a wool topper provide more of the many benefits of wool to your bed, it also adds an additional layer of cushion to your mattress. While this topper will also compress, it’s constructed to remain much softer than a wool mattress. 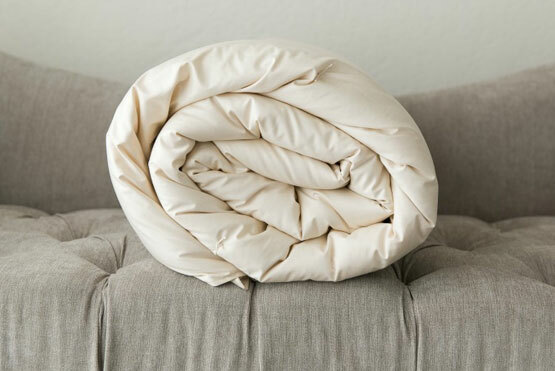 Additionally, a wool topper makes for an especially comforting addition to any mattress due to the fibers’ ability to conform to your body and wick away moisture. Interested in a more tactile experience with these layers? Order a Sample Bedding Kit to receive dollhouse-sized versions of our most popular layers and experience these components firsthand. 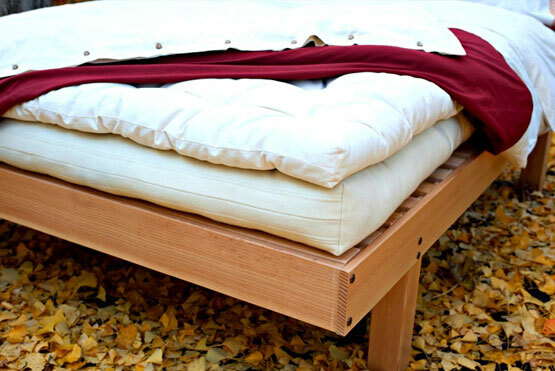 Stay tuned to our blog for more popular natural bed combinations over the coming weeks.